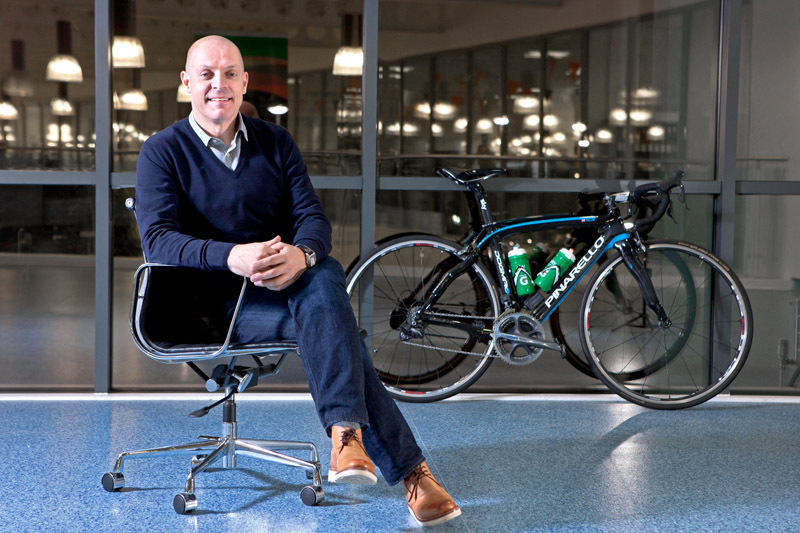 If you don’t know the story Sir Dave Brailsford and British cycling, it’s a powerful one. Sir Dave took over British Olympic cycling in 2002, and at the 2008 Beijing Olympics, his squad won 7 out of 10 gold medals in track cycling and then went on to experience similar success at London in 2012. Sir Dave, who has an MBA, decided to focus on small gains across the entire sport rather than trying to make significant, sweeping improvements in one or two areas. His team attempted to improve every single element that goes into competitive cycling (nutrition of the riders, aerodynamics of the bike seat, weight of the tires, etc.) by 1%, trusting that together the changes would result in a significant performance improvement. And it did! You can check out more about Sir Dave here, including his 5 Tips for Outperformance. Too often in business, I see dental practices try to do the opposite of Sir Dave’s approach; they try to identify an easy, one-time change that will result in massive financial improvements, and then they find themselves disappointed and deflated when they realise it doesn’t exist. Unfortunately, in business there is no “quick fix” or “magic answer.” Instead, a practice is more likely to realise success if they focus on marginal gains, taking a step back and focusing on small improvements across many different areas of the business, ultimately resulting in significant achievement across the entire business. So, maybe in the past you have thought to yourself that it wouldn’t be worth improving your patient wait time because it’s already quite reasonable. Or maybe your website isn’t the best among competitors, but it’s not bad either so you decide it’s not worth your resources to improve the online appointment booking experience. And you’ve considered implementing a staff incentive program for attracting new patients but this isn’t something you know how to implement so you don't bother. Now imagine you decide to do small improvements across all three areas – you decrease patient wait time, improve website experience and offer a staff rewards program. Chances are everyone will feel appreciated, patients will have a more positive experience and will then become more loyal to your brand while also becoming part of your sales force as they recommend your practice to friends and family. I encourage you to consider what small changes you can make in your business that will result in a big difference. Maybe you can develop more meaningful or relevant newsletter content or undertake staff training to improve interactions with customers. Maybe you could develop a social media marketing strategy to engage with your customers or you are simply ready to improve the look and decor of your business. Maybe you can increase your daily appointments or update your practice management software. Start small and trust that those changes will add up over time, ultimately providing you with significant results and real financial gains that you are seeking. And don’t forget: one of the most important steps when implementing any change across a business, no matter how big or small, is surrounding yourself with a supportive and enthusiastic staff, as well as like-minded and knowledgeable business professionals who can support you in your efforts. If you need help, I can suggest 10 areas to focus on. If you achieve a small improvement in each of these 10 areas I guarantee you will see practice profitability increase by at least 20%. To find out what those 10 are, just call me on 07860 476 358 and let's arrange a complimentary review of your needs.